Description: The over/under style racing course never disappoints and this year’s fall Texas Monster Shootout proved that once again. In the finals of racing, Jim Jack in Reptoid jumps over Lionel Easler in Instigator on his way to the big racing victory. 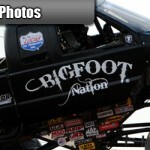 (The Woodlands, TX) That time of year is here again, the annual Texas Monster Shootout is just around the corner. October 30th is the date and we want to make this year the best so far. Our goal is to raise more money than we have in years past. We at Flame Motorsports challenge the fans to help us achieve that goal. Any one can contact us and donate to the cause. I have included a short explanation of the charity. If you feel compelled to help please don’t hesitate to contact us. Just after Christmas in 1984, precious two-year-old Ann Denman lost her battle against cancer. Maggie LaBove and Nancy Dillard, friends of Ann’s parents, Trey and Sally Denman, pondered for several years what could be done in Ann’s memory that would make a difference. In 1989, they gathered a group of close friends together and decided that a luncheon to raise funds for pediatric cancer research would be a fitting memorial. Over three million dollars later, Mothers Against Cancer continues to be a leader in funding childhood cancer research at Texas Children’s Hospital Cancer Center. This group is a registered non-profit organization, composed of dedicated volunteer women whose primary goal is to raise funds for the research necessary to lead to a cure for all forms of childhood cancer … all because of the love for little Ann. So if you are looking for something to do the night before Halloween and your kids are bugging you because they want to see Monster Trucks. 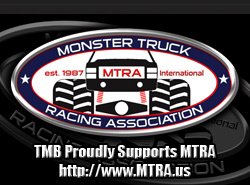 Come down to Houston Motorsports Park and see some of the top independent Monster Trucks in the business. Our line-up includes Fiesta King Krunch, El Matador, Bad News Travels Fast, Instigator, Reptoid, Obsession and team truck Obsessed, and coming all the way from Reno, Nevada is the Airborne Ranger. We will also have some of the best Freestyle Motorcross rider in the country. So if your within hearing distance of this write-up bring the family out. You will have a great night of exciting motorsports action and you will be helping out a great charity. 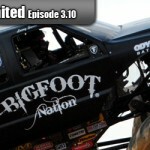 For more information on this weekend’s Texas Monster Shootout, check them out online at www.TexasMonsterShootout.com.